Those moments when I judged people for throwing garbage out on the streets may classify as ‘micro-motives’ according to social scientists Todd Rose and Ogi Ogas. Micro-motives are a collection of desires or a lack of them, hidden deep inside us. You can understand them by observing how you judge others. People who care about the environment often resort to these sort of judgements. I did too. Who doesn’t judge though? 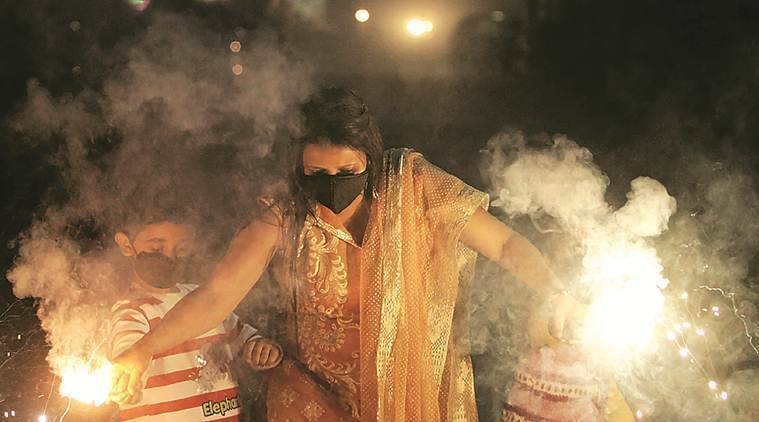 Here’s a recent picture that attracted harsh criticism in the light of severe air pollution in northern India and the controversy around fireworks ban. These judgements and their underlying micro-motives say something about the dreams environmentalists have hidden inside them. They dream of a better world, not just for them, but also for their family, friends, children, and their communities. Would you rather not have them judge you? Perhaps you are the one who is judging the government for not doing enough to keep the cities clean or judging companies for using toxic chemicals in the products you use. What do these judgements tell you about your desires? If you really know what you want, perhaps you could create a positive impact on the kind of world you want to live in. Noise can grab your attention, but it can also confuse you. Noise is a disturbance. Noise numbs our other senses. Noise can also be empowering, noise can be a voice, to make something known, to create a movement. Noise is too much information. Whatever it is, find your way through it or stop it all together. It’s your choice. Social media may have made it easy to raise awareness of environmental and social issues, but it can be overwhelming too. It can be distracting. Simplify. Declutter. Remove the noise if you need to and focus on something simple and glide towards complexity effortlessly, making it look seemingly simple when you reach there. Don’t let the noise stop you from doing what you feel is right. Or make noise for it. It’s your choice. You are in control. You can do it. Take that cotton bag to the grocery. Try a ceramic coated frying pan instead of the Teflon coating. Try this, try that. Or don’t. But, try, try that one thing that makes it right, for you, for your family, for the future generation, or for the planet. Then try another. Tell the world about it. I tend to be creative with limited options. I like false scarcity in that sense. When I had a chance to do something with the leftovers today, not just cooked leftovers but leftover vegetables too, I ended up creating a buffet style menu for lunch and dinner. I not only saved food from going to waste but also relished some memories. Sauteed cauliflower is my mom’s invention. Cauliflower butter masala pasta over rice is mine, although I built it upon an existing cauliflower butter masala recipe taken from somewhere else. I tried Parsi omelette for the first time today, and it tasted delicious! Cabbage pattice: Mix different kinds of flours + onion + cabbage + turmeric + coriander powder + cumin powder + salt + red chilli powder. Shallow fried. When you see a door, what do you see? A carpenter may see how he can improvise it. A child may see it as a way to escape to play around unchartered territories. A movie maker might strike a mystery as he gazes through a pinhole. When I see a door, I most of the times just see a door, but sometimes I wish to look at where the wood came from, was it cut from a sustainable forest, are there sustainable wood options out there, how can I preserve it for a long time? When you see a door, what do you see? When you look at a toothbrush, a hammock, a car, a mobile phone, a watch, a mixer, a bulb, a t-shirt, a lipstick, what do you see?